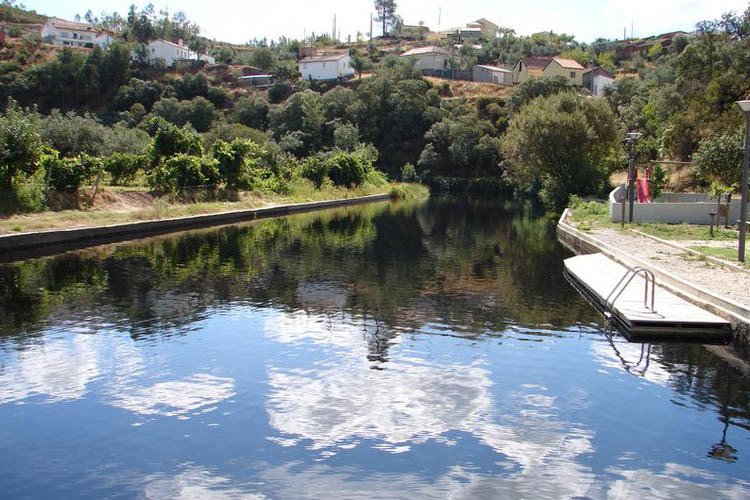 Have a refreshing bath in the river beach of Sesmo, Castelo Branco. Sesmo River Beach is located in the hamlet of Sesmo, Castelo Branco, Portugal. This beach has a charming landscape with mountains and valleys characteristic to the area, with a vegetation composed of great pine woods and arbutus. The beach features a playground, parking, showers, public restrooms, and picnic area. The beach is highly recommended for sports such as swimming, fishing, hiking, or MTB.